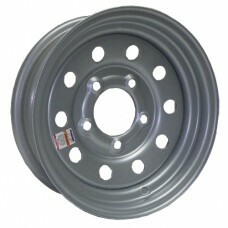 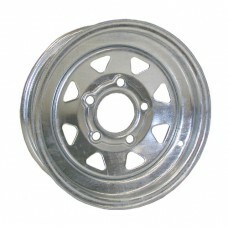 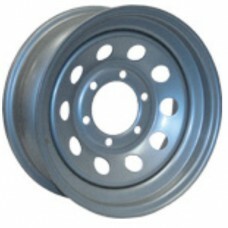 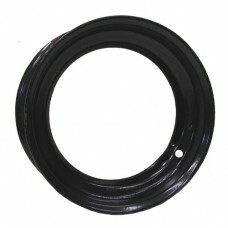 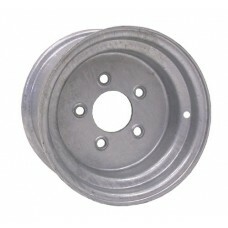 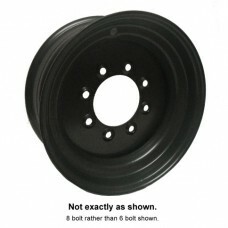 Use the Diameter, Bolt Center and type of Finish filters above to find the right trailer rim. 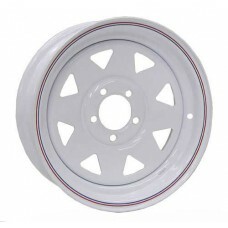 14.5" x 6" De-mountable Steel Trailer Rim Gray Max Capacity: 3100 lbs @ 100 PSI ..
14"x5.5 TRAILER RIM SPOKE WHITE 5 bolt on 4.5" b/c 3.19" pilot Zero offset 2040 lb. 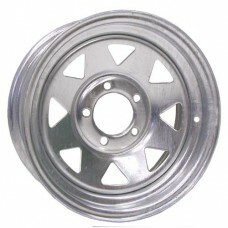 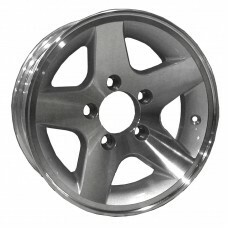 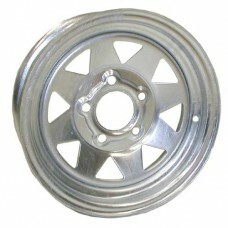 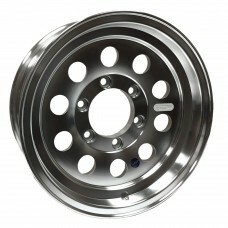 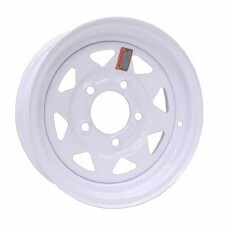 @ 65 psi ..
Dexstar 15" x 6" RIM EIGHT-SPOKE WHITE STEEL TRAILER WHEEL5 bolt on 4.5" b/c 3.19" pilotZero offset 2150 lb. 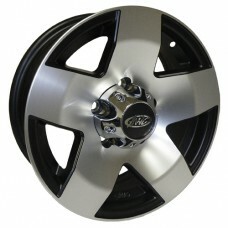 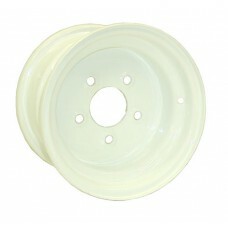 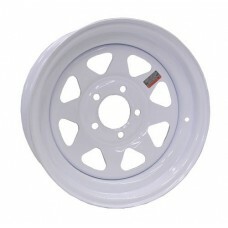 @ 80 psi ..
16" x 6" RIM MINI-MOD WHITE trailer wheel without Stripes8 bolt on 6.5" b/c 4.90" pilot Zero offset3960 lb. 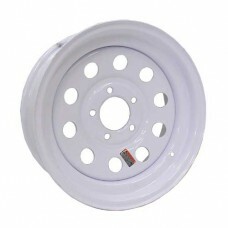 @ 110 psi ..
10" x 6" 4 bolt on 4" b/c White Steel Trailer Wheel..
10" x 6" 5 bolt on 4.5" b/c White Steel Trailer Rim..
10" x 6" 5 bolt on 4.5" b/c RIM SOLID FACE GALVANIZED ..
ALUMINUM STAR TRAILER RIM 12" x 4" 5 bolt on 4.5" bolt center Max Capacity: 1520 lb. 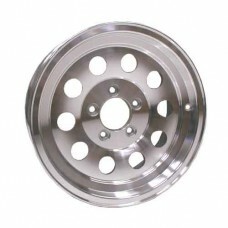 ..
Silver MOD Trailer Rim 12" x 4" 5 bolt on 4.5" b/c Offset: 0.5 OUT SET Capacity: 1520 lbs ..
12" x 4" RIM SPOKE WHITE Trailer Rim, 4 on 4" bolt center, 2.84" pilot 1045 lb capacity. 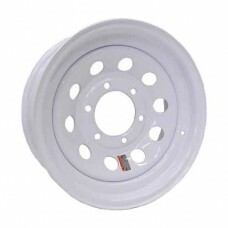 ..
12" x 4" 5 bolt on 4.5" b/c SPOKE WHITE Trailer Rim Pilot: 3.19" Max Capacity: 1045 lbs ..
12" x 4" 5 bolt on 4.5" b/c Galvanized Spoke Trailer Rim Pilot: 3.19 Max Capacity:1045 lbs ..
13" x 5" 5 bolt on4.5" b/c STAR ALUMINUM Trailer Rim Pilot: 3.19 Max Capacity: 1660 lbs ..
13" x 5" 5 bolt on 4.5" b/c STAR ALUMINUM Trailer Rim Pilot: 3.19" Max Capacity: 1660 lbs ..
13" x 4.5" 4 bolt on 4" b/c WHITE SPOKE STEEL Trailer Rim Pilot: 2.31" ..
13" x 4.5" 5 BOLT on 4.5" b/c WHITE SPOKE Steel Trailer Wheel Pilot: 3.30" Max capacity: 1660 lbs ..
13" x 4.5" 5 bolt on 4.5" b/c GALVANIZED SPOKE Trailer Wheel Pilot: 3.30 Max Capacity: 1480 lbs ..
14.5" x 6" 6 bolt on 5.5" b/c Black Flat Steel Trailer wheel Offset: - 1/8" OS Max Capacity: 3230 lbs @ 100psi ..
14" x 5.5" 5 bolt on 4.5" b/c STAR ALUMINUM Trailer Rim Pilot: 3.19 Max Capacity: 1900 lbs ..
14" x 5.5" 5 bolt on 4.5" b/c ALUMINUM MOD Trailer Wheel Pilot: 3.19 Max Capacity: 1900 lbs ..
14" x 6" 5 bolt on 4.5" b/c WHITE SPOKE Steel Trailer WheelPilot: 3.30"Max Capacity: 1870 lbs ..
14"x6" 5 bolt on 4.5" b/c Galvanized Spoke Trailer Rim Pilot: 3.30" Max Capacity: 1870 lbs ..
15"x5" 5on4.5 b/c Aluminum Star Trailer RIm Offset: -0.125 Pilot: 3.19" Max Capacity: 2150 lbs ..
15"x6" 6 bolt on 5.5" b/c Aluminum Star Trailer RIm Offset: 0" Pilot: 4.25" Max Capacity: 2830 lbs ..
15"x6" 5 bolt on 4.5" b/c 15" White MOD Steel Trailer RimPilot: 3.30"Max Capacity: 2150 lbs ..
15" x 6" 5 bolt on 4.5" b/c Aluminum MOD Trailer Rim Pilot: 3.19" Max Capacity: 2150 lbs ..
15" x 6" 6 bolt on 5.5" b/c White MOD Steel Trailer RimPilot: 4.28"Max Capacity: 2540 lbs ..
15" x 6" 6 bolt on 5.5" b/cAluminum MOD Trailer Rim Pilot: 4.25" Max Capacity: 2830 lbs ..
15" x 6" 5 bolt on 4.5" b/c 15" White Spoke Steel Trailer Rim Pilot: 3.30" Max Capacity: 2150 lbs ..
15" x 5" 5" on 5" b/c 15" White Spoke Steel Trailer Rim Pilot: 3.19" Max Capacity: 1820 lbs..